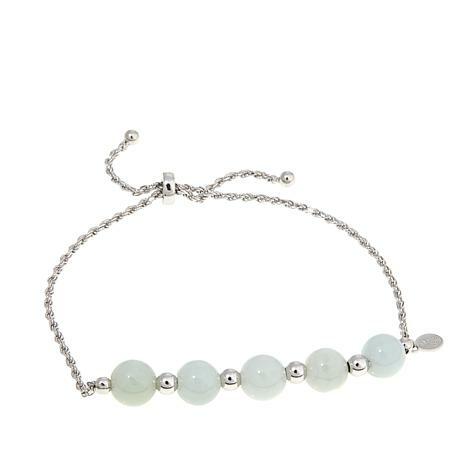 The timeless allure of jade is given an on-trend update with this chic bracelet. 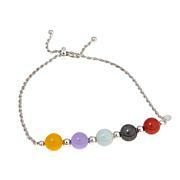 Adjustable to fit a wide range of wrist sizes, its sleek beaded design is perfect for women of any taste. Worn solo or stacked with others, it's sure to become the centerpiece of your ensemble. 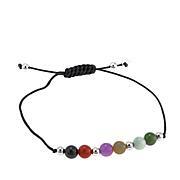 I ordered tis new first then ordered the multi color bracelet and I have them so much goes great with what I wear,so glad I ordered them. 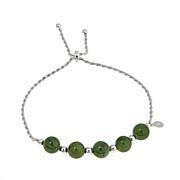 I so love this bracelet, its so beautiful and lightweight and looks amazing, my 1st jade bracelet. Its so easy to put on and take off. I do take it off when avoiding water. I love love love it so much, so happy I saw this and got a great price plus flex.This fits my style all the way. Looking forward to getting more of Yesteryear Jade. I bought this lovely bracelet for my daughter for Christmas. The color of the beads was a little pale. Actually it was closer to white than light green ! But my daughter loved it anyway until the chain broke . The bracelet only lasted about 6 weeks ! It was definitely a disappointment.